If you’re looking for a Live Web Cam in Breckenridge and Summit County, CO you’ve come to the right place. It wasn’t easy to find everything I wanted to share here. And, so below you’ll a list of cameras for the different towns and highways around Breck. Weather forecasts are never accurate and are subject to the microclimates around the mountain valleys and peaks. Use this info as a starting point and then work with your local travel contact about specifics. 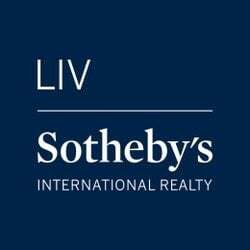 If you don’t have a local contact, feel free to follow us on Facebook and you can learn all sorts of tidbits and info as I share relevant, entertaining and helpful information about the mountain community of Summit County. Some diehards will rise early to flip the phone open to a bookmarked tabbed of this page. There, you’ll be able to check the different web cams at the ski areas and then you can decide where to shred the gnar that particular day. Traffic cams will help you make the call to stay for an early dinner, or grab an app or two before heading to the different microbreweries as traffic dies down. Have a designated driver, and please don’t drink and drive. Get a room, or find an Uber or taxi to help you arrive home safely. 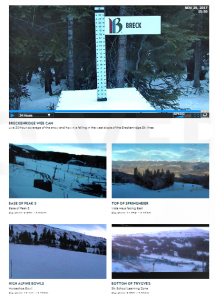 Here are the web cams for the ski towns and mountain resorts, and a few resources for travel. Please let us know if you find a broken link, malfunctioning camera that doesn’t restore, and if you find a camera that should be on this list. We appreciate any leads to live web camera feeds that could help someone visiting or living in Breckenridge or Summit County, Colorado.